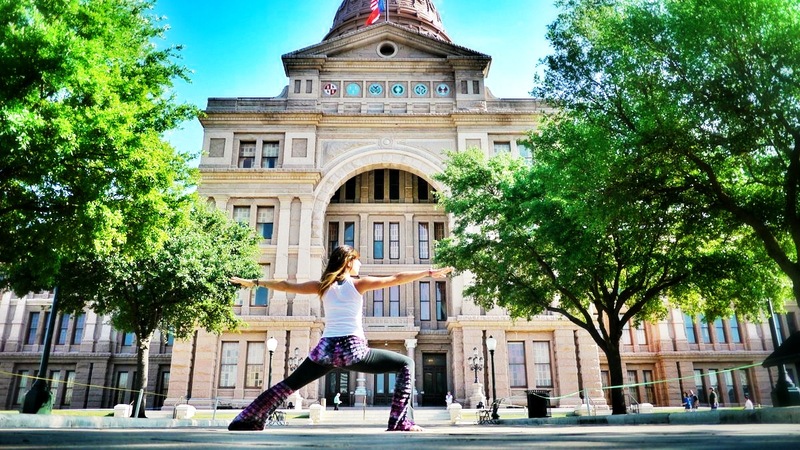 ässanas, a line of unique yoga pants committed to the beautiful, the quirky, and the eclectic, has hit the streets in Austin, Texas. I found that I was wearing my yoga pants to the studio, the grocery store, even out to eat. Get ready to do a double take. In Austin’s thriving yoga and dance community, two women have launched ässanas, a new line of yoga pants and athletic wear that is anything but athletic-looking. ässanas has launched its first season with snug-fitting boot cut and flare leg pants. Each style boasts unique elements like ruffle skirts and special prints. “I’ve found, in the athletic realm, that you either sacrifice fit or fashion,” said Leah, who owns and manages Sunstone Yoga Austin. Customers are an important part of the design process for ässanas. “Not only do we want feedback on cut, comfort and style, we want to give people the opportunity to design their own pants,” explained Leah. ässanas is launching a Kickstarter in mid July, which includes an innovative way for customers to provide design feedback for season two. As yoga becomes more fashionable, so does yoga fashion. The ässanas founders know firsthand the appeal of hanging out in athletic apparel all day. “I found that I was wearing my yoga pants to the studio, the grocery store, even out to eat,” said Leah. ässanas' goal is to design pants that will transition from one activity to the next, without compromising style or comfort. ässanas is line of unique yoga pants committed to the beautiful, the quirky, and the eclectic. Original in design, first-class in fit and durability, these pants will inspire you to get your groove on in the yoga studio, on the dance floor, and everywhere else you show up. They'll make your ässana look pretty good too.